Awww, there's just not much cuter than a couple Goth kids in love. Toby and Shiloe Grave retired their brutally depressive Blessure Grave project (sadly) and lightened up with Soft Kill. Apparently, the couple describe this record as "an open dialog love letter in song form". Its Death Rock, Post-Punk and New Wave all in one tidy package. I was initially very disappointed in their decision to retire BG but I'm surprised to call this a fantastic album and I'm relieved with the direction they've chosen. thx for this. jus ordered the lp! Just stumbled on yr blog from google... small correction, Blessure Grave was co-founded by Reyna Kay not Shiloe. 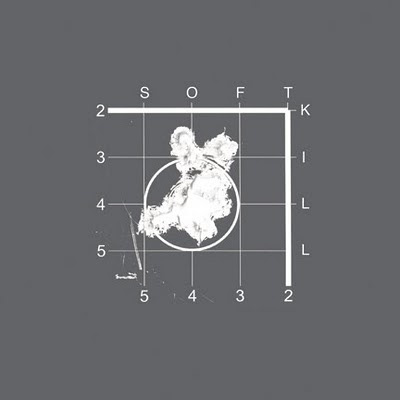 The SOFT KILL record is great! Thanks for nice and helpful review. Well done! It is such interesting to read. Try to work with platina software for accounting.